Last week I was googling for ikat patterns and I came across a striking dress that inspired me to create a coordinating mani. The dress is a Alice and Trixie 'Jillian' Print from Nordstrom. I was happy with all the colours that I matched to the dress, except the blue. My blue was far too bright. It turns out that in my roughly 2000 bottle stash that I don't that the exact right dark dusty navy! 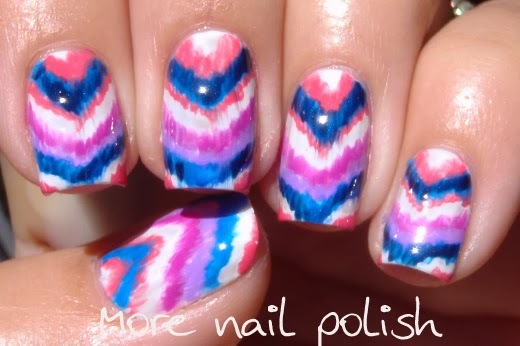 See, a girl can never have too much polish! 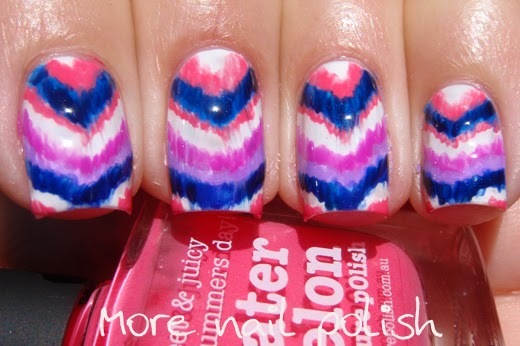 I love the messy look to ikat designs. The scratchy lines remind me of a t-shirt my husband has that has printing on it that is fuzzy and blurred, and it says 'Stop looking or you'll go blind". 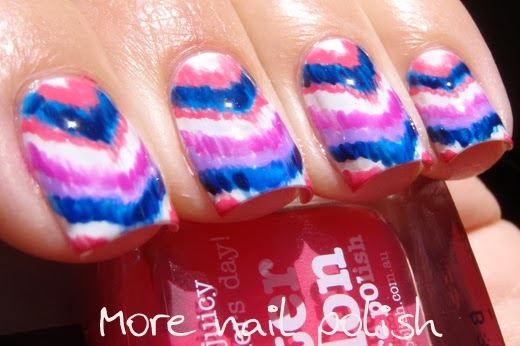 When looking at these nails they almost look like they are out of focus cause of the fuzzy lines. 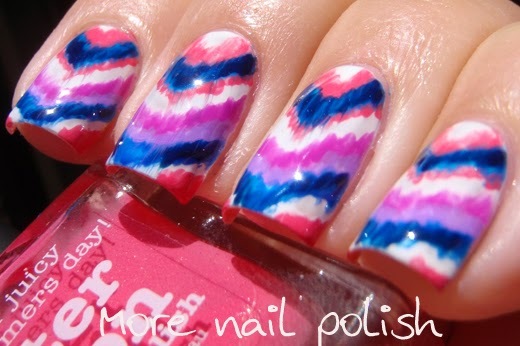 Because of the messy lines, ikat designs are really easy to create. I love manicures when they match dresses. 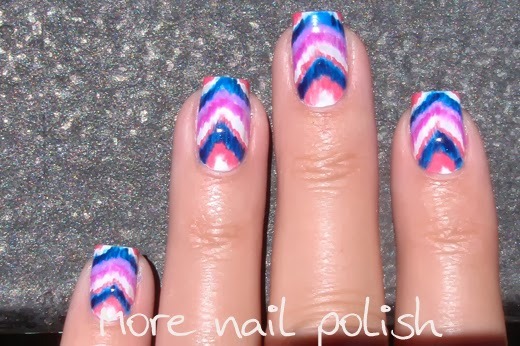 I really like this manicure, almost reminds me of tie dye or batik. Very pretty.